Attention please! Due to the possibility of bad weather moving in to the area this Saturday, we are postponing the 4th Annual Chili Cook-Off for the Kids of Childhood Cancer. We are rescheduling the event for Saturday, March 14th. We apologize if this causes an inconvenience, but we had much rather ere on the side of safety than to take any unnecessary chances. We hope you will still make plans to attend. 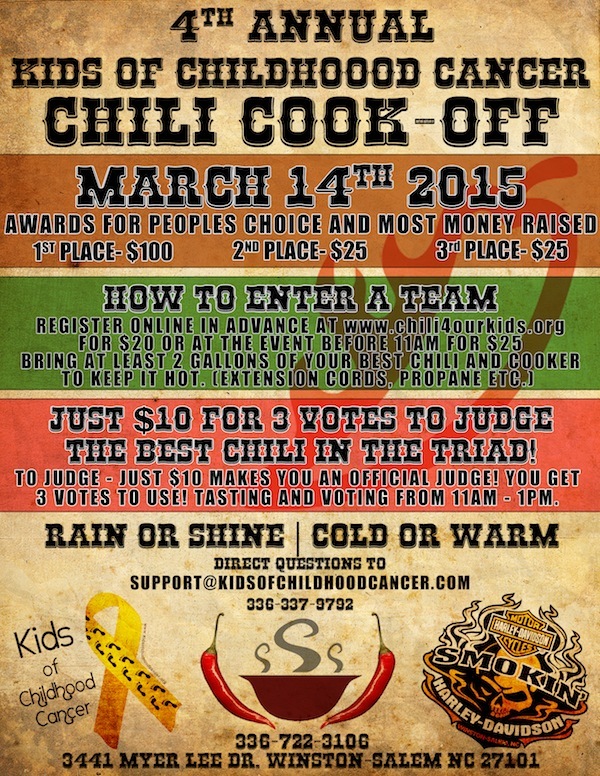 Join us for our 4th Annual Chili Cook-off to benefit Kids of Childhood Cancer. Register on-line before the 20th for $20. Register on the day of for $25. $10 to Taste and Vote. Team voted “Best Chili” from the People’s Choice on the day of our event wins money! Trophies for 1st, 2nd and 3rd Place! Click here to Sign-up you team today! Bike show registration is from 9-1, Judging at 1 and Trophies will be given our in their respective categories! See you there! Our trophies for this weekends International Bike Show arrived today! All bikes of every type is welcomed! 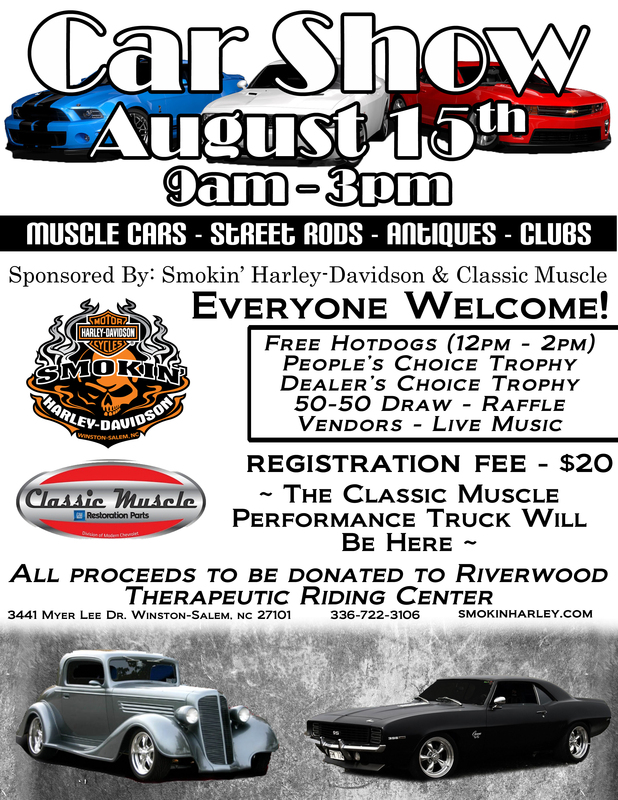 Sport Bikes, Cruisers, Custom, Choppers, you name it, bring it! Trophies awarded in all categories – Touring (Saddlebags & Windshield), Cruiser, Custom (Paint), Chopper, Sport Bike, and Peoples Choice. Vendors to include Fox Paint Shop, Indian Larry Motorsports, Ducati of Greensboro, Garwood Custom Cycles, Kendall Johnson Customs, Fulmer Helmets, Superior Insurance and Jason E Taylor – The Litigator. Entry cost for Bike Show is $5 & 1 Nonperishable Food Item. 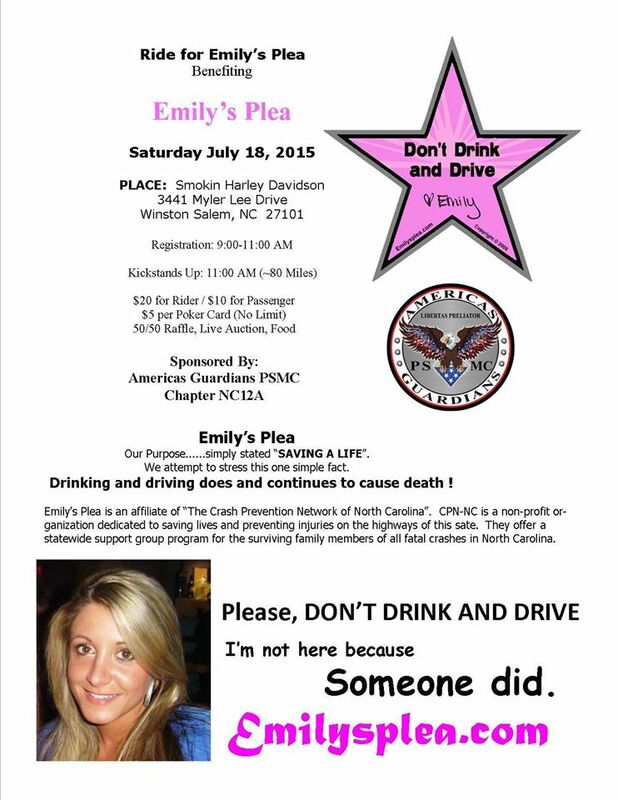 All proceeds to go to 2nd Harvest Food Bank of Northwest NC.